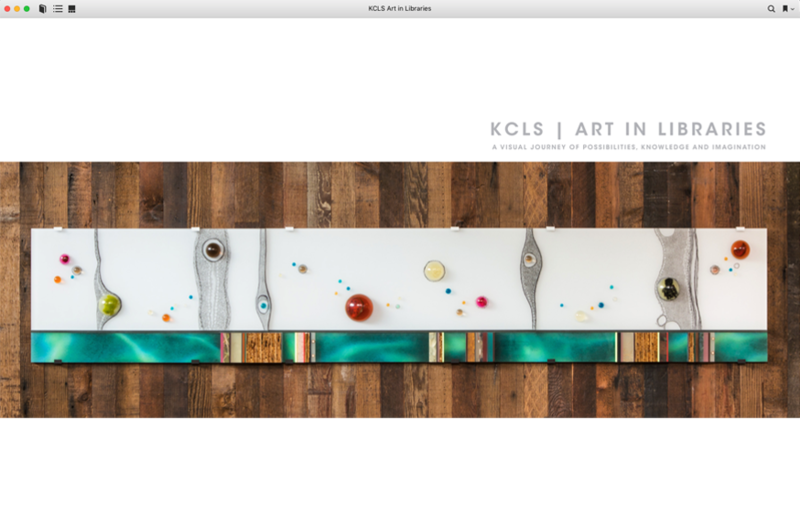 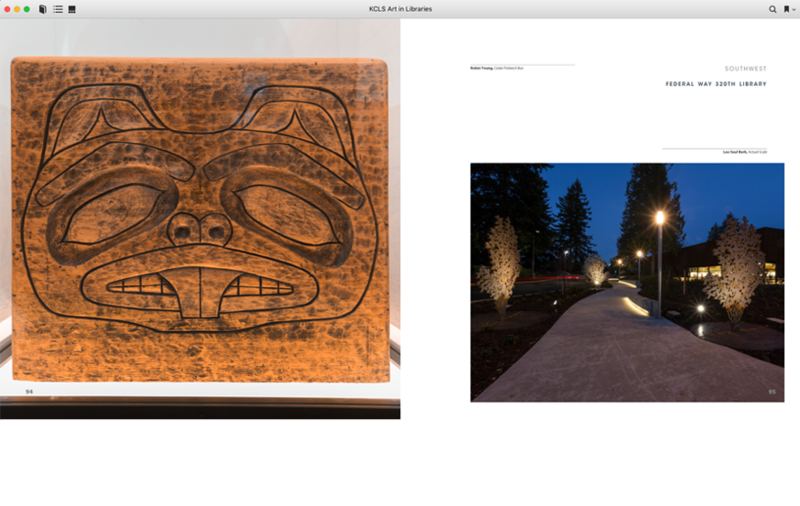 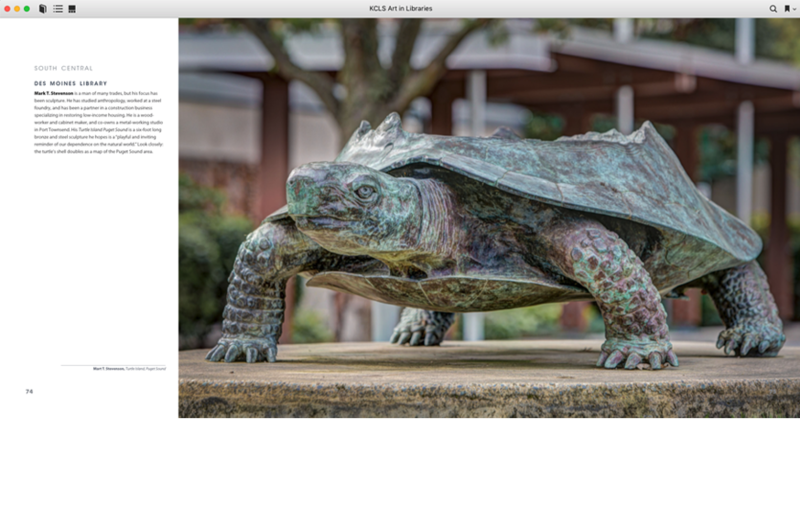 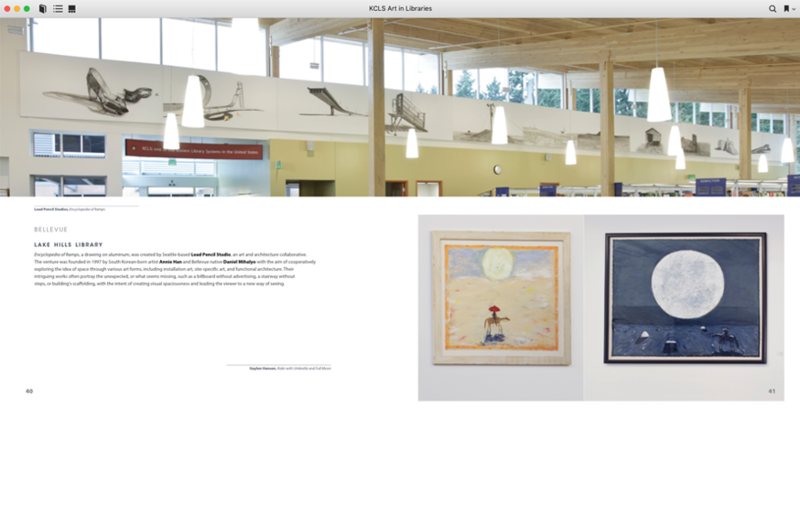 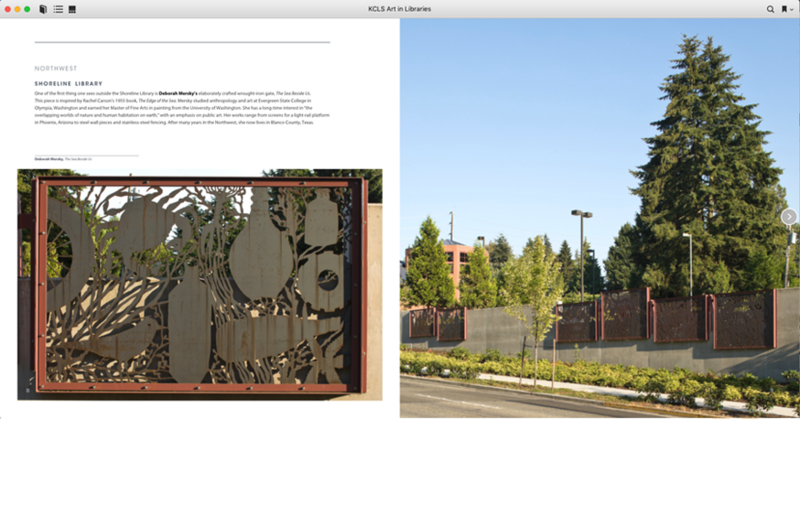 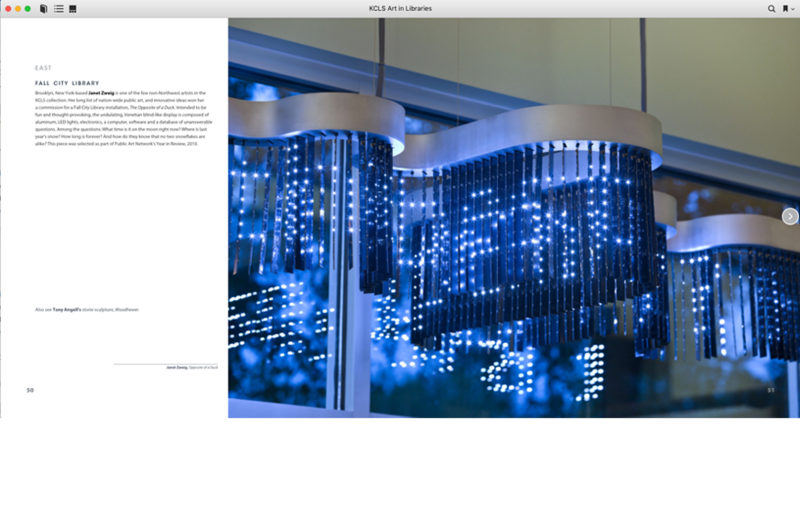 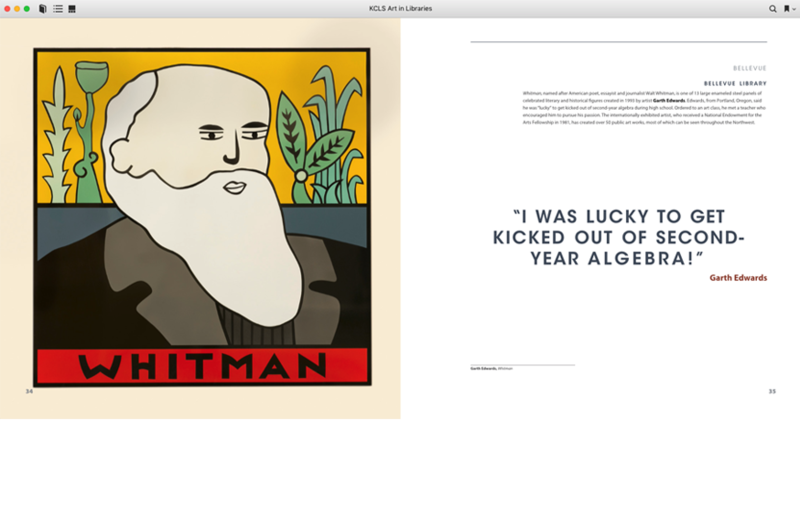 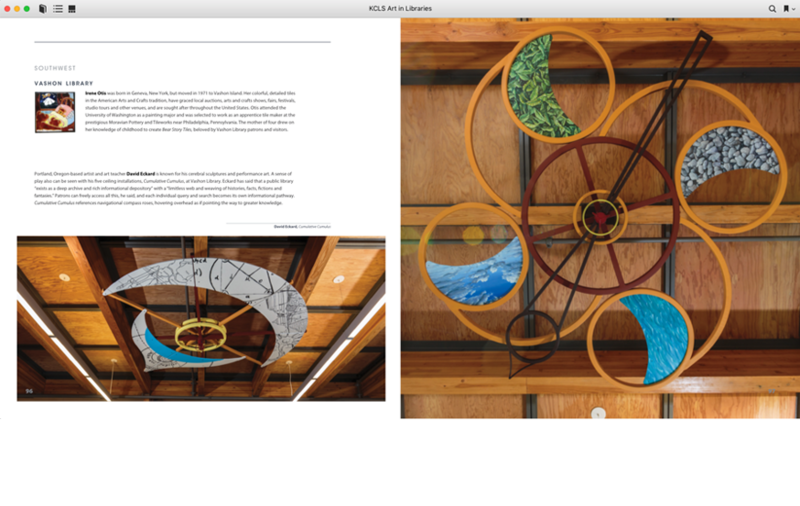 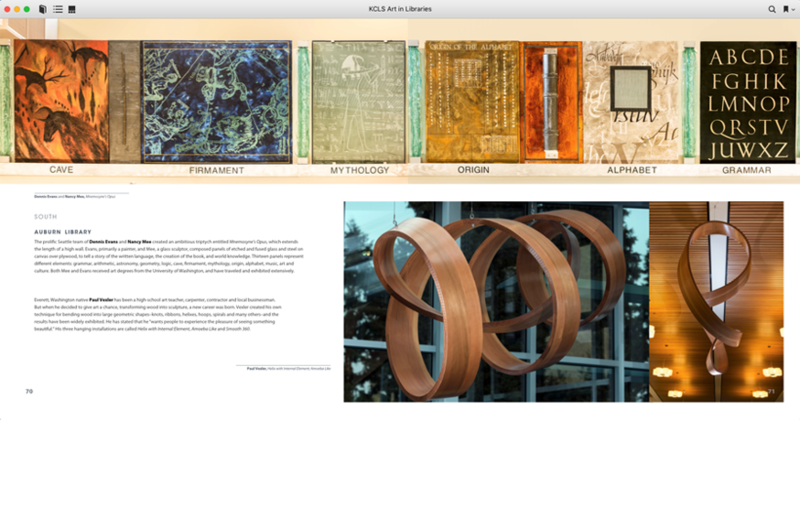 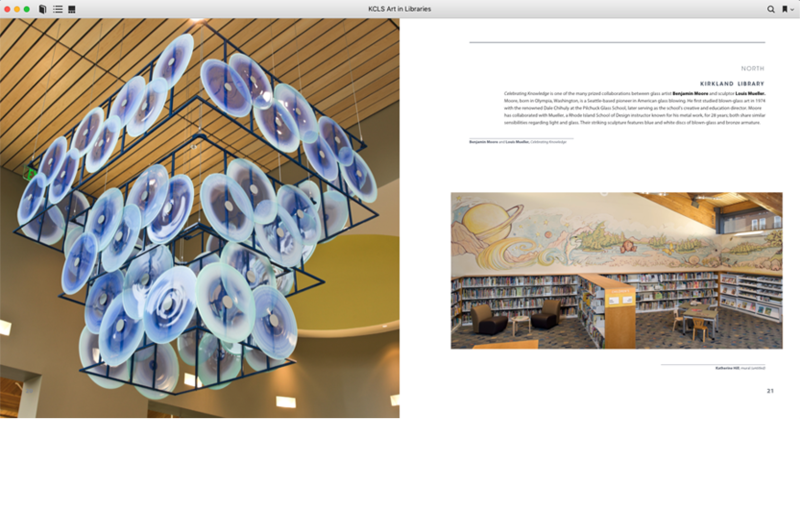 KCLS designed and printed a photo catalog of the System’s public art collection and needed an eBook version to widen accessibility to the book. 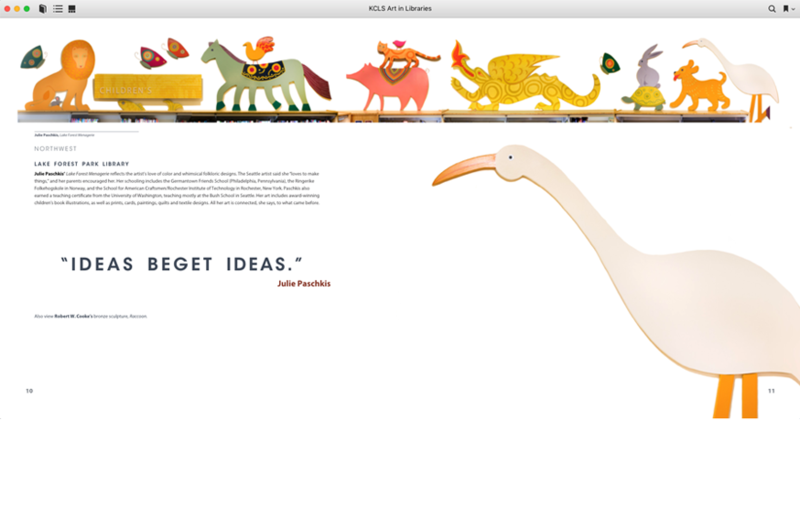 Selecting an eBook vendor for an important and technically difficult project is not easy. 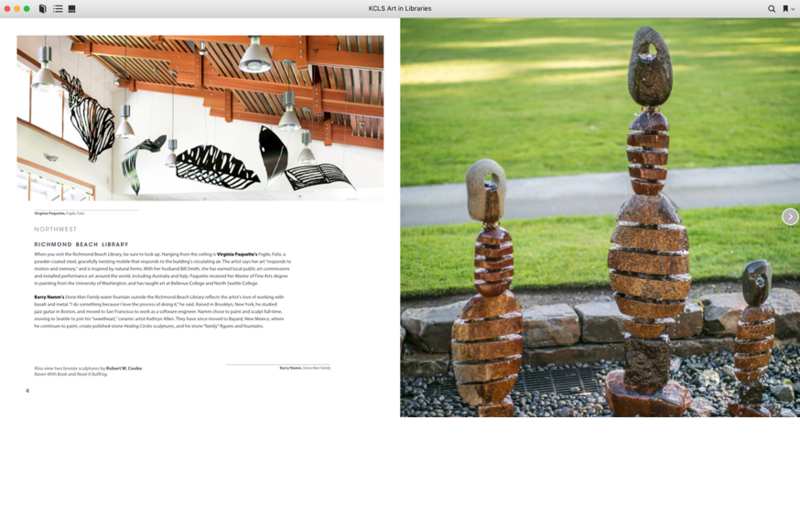 Most vendors offered a “one-price” service but then charged extra for things like adding photos, and some that responded to my request seemed more interested in getting the job than in discovering what I needed to accomplish.